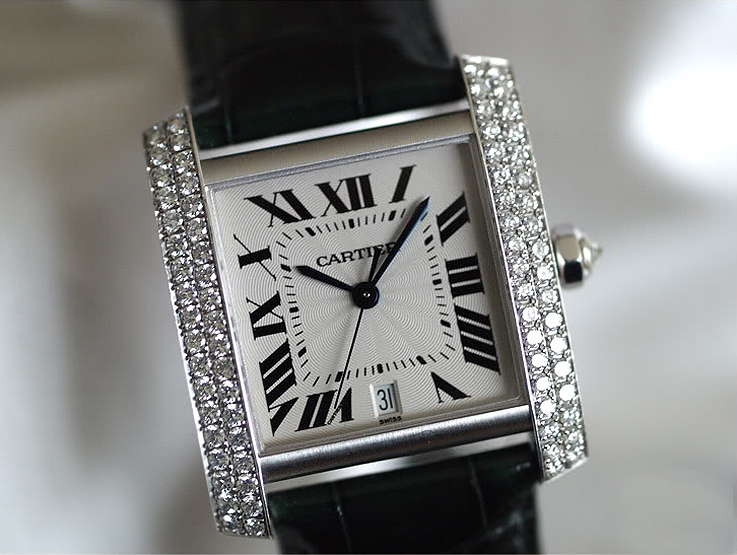 Six years after the successful launch of the large Tank Americaine in 1989, a watch that was designed for men and loved by women, Cartier did an even greater launch of a new Tank model; the Tank Française that was presented in Geneva in 1995. 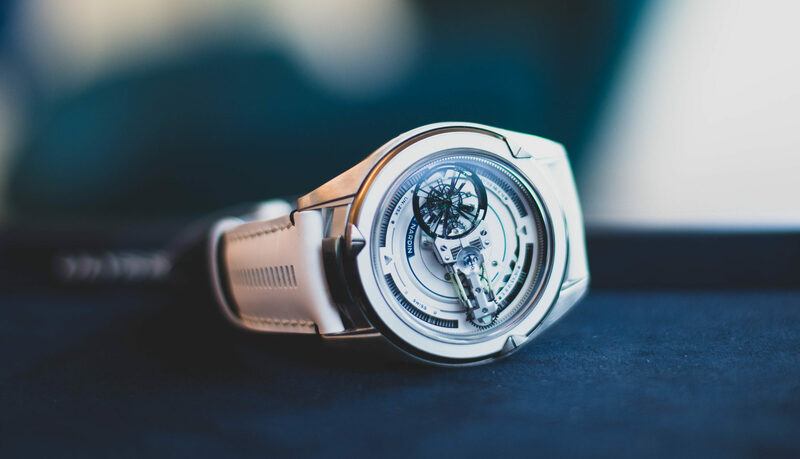 Since the first day of the release the watch was available in four sizes, the two smaller ladies models with a quartz movement, the larger one with an automatic caliber 120 by ETA and the largest Tank Française model, the Chronograph powered with Piaget’s Chronoflex movement. All four were presented in all yellow gold and in the, at that time, very popular mix of steel with gold. Just a year later, the Tank Francaise Collection was launched in all steel, which made the Tank Française the first real Tank watch that was available in steel. 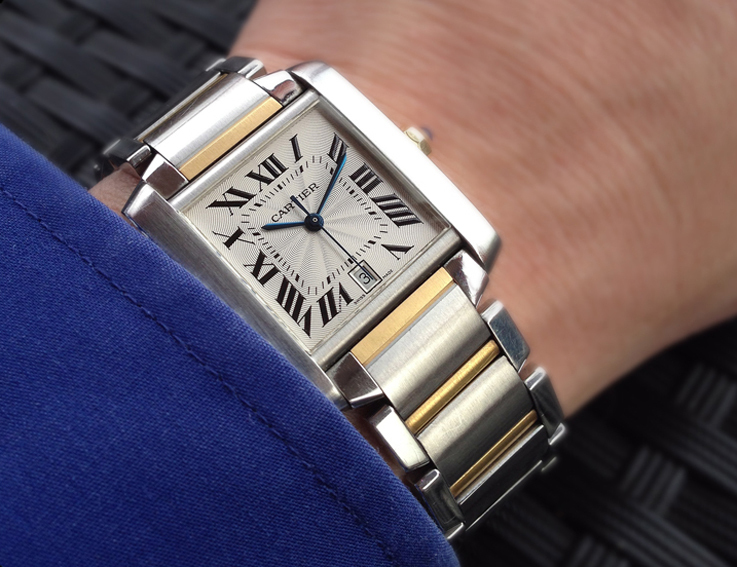 For some of the Tank models, Cartier has a bracelet available, but the Tank Française was the first Tank that was born on the drawing board, with an integrated bracelet. The way these links were designed and linked to each other, do remind and much more than any other Cartier bracelet, of the catarpillar tracks of the worldwar II Tanks. 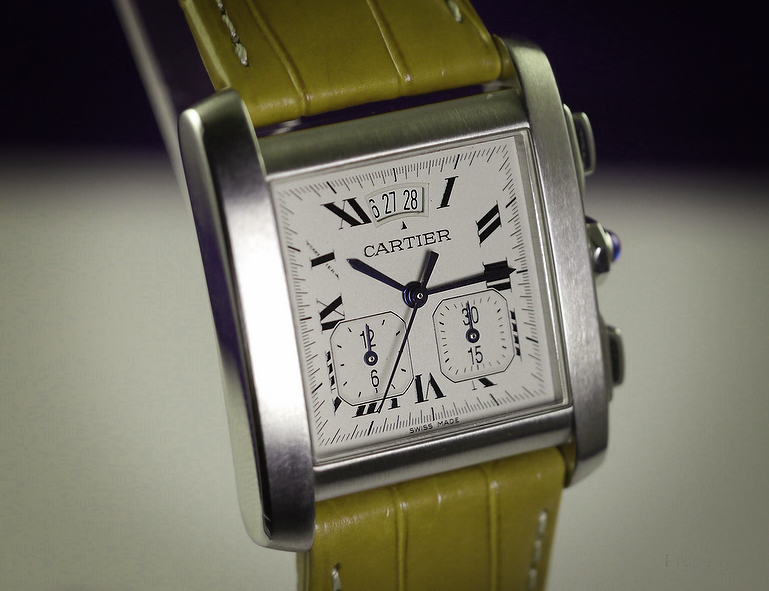 It took more than a year before a few ladies model with alligator strap and deployant came into the collection. These non bracelet Tank Française models, were during the first years, only available as smaller ladies models in gold and the gold versions set with diamonds. Often a silk strap was used, to make the Française even more of an evening watch. Set with diamonds the watch and especially the large model, looks pristine. 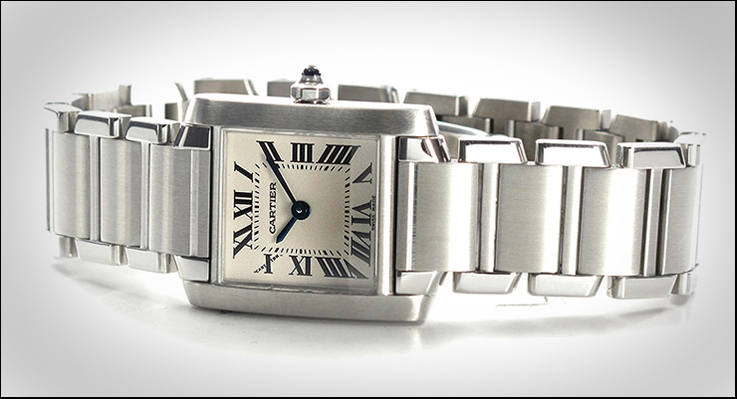 The Française is one of those Tank models that’s often seen as a jewelry watch and not only the ladies model. 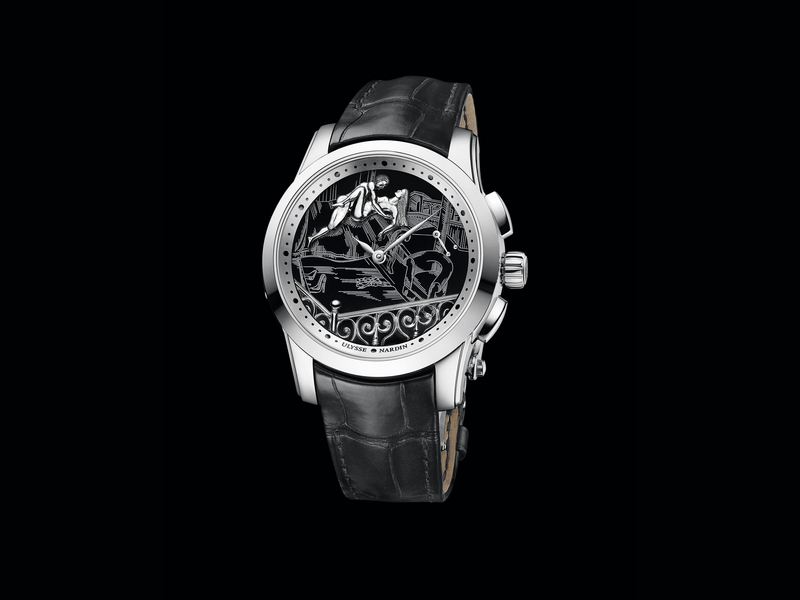 The large automatic version, with its 32,7 x 28mm case, had two rows of 38 diamonds, plus the one in the crown. The watch looks as great with an evening dress, as with a tuxedo. The only draw back is the date window, that I find out of place when a watch is presented as an evening watch. If this large version was launched with another dial, it would have been perfect. In contrary to the Tank Americaine, that was never made in steel, the Tank Française was available in solid gold, in all steel or in a mix of the two materials, which made the watch within reach of a much wider audience. 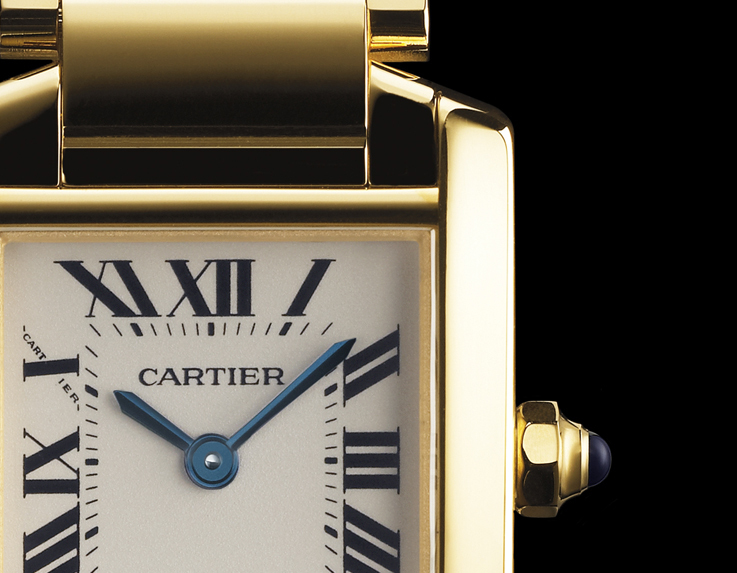 This move by Cartier paid of and the Tank Française became a ‘Must have’ watch, becoming, in no time the best selling watch in the Cartier catalogue. An exceptional Tank Française, was the Tank Française Yearling, that for an unknown (to me) reason, lived a short life. Housed in a 36,5x30mm case, the Time only version and the Chronograph, were only available around 2003/2004, on an alligator strap and deployant buckle. It was probably a ‘One Shot’ and done on purpose to create a specialty. Both are very nice watches that do pop up at for sale once in a while and are usually described as Tank Française Yearling XXL. As an iconic watch of the 1990’s, the Tank Française has had its day in the sun, but today exactly 20 years later, the medium and large models are, due to demand, still available in the collection. 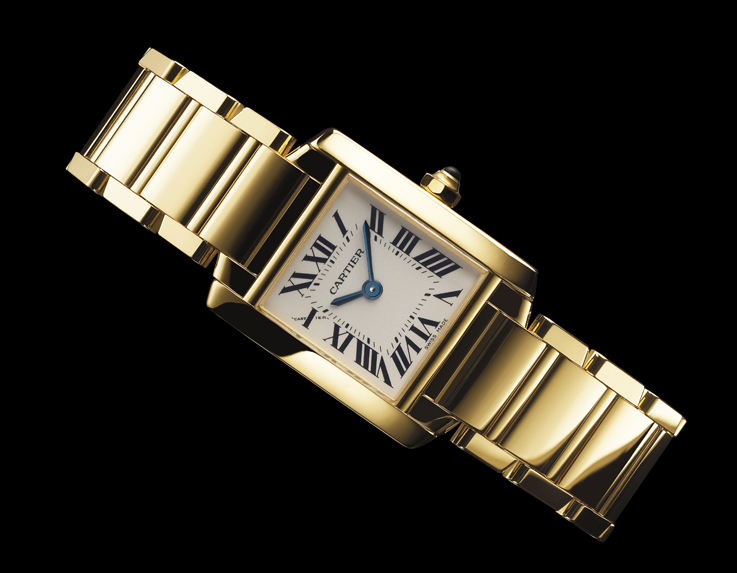 The Tank Française has proven to be a classic and the model has discovered an important place in the line up of Cartier Tanks. Of course not every Tank can be a winner, so stay tuned, since our next article about the newer Tanks, will focus on a less successful model.